THE READERS RAG: THE MESSAGE OF GILLY MACMILLAN'S "WHAT SHE KNEW"? TRUST NO ONE! THE MESSAGE OF GILLY MACMILLAN'S "WHAT SHE KNEW"? TRUST NO ONE! To be honest, let me just state this right away. I loved Gilly MacMillan's book so much I couldn't put it down. 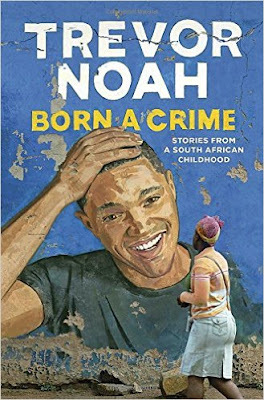 In fact, this is one of those books that makes people think there is something the matter with you because you refuse to speak to anyone until you've finished it! I have a "Go Away! I'm Reading!" sign which a family member gave to me for laughs. When I was reading this book, it wasn't a joke any more. I put it on my bedroom door handle so I wouldn't have people interrupting me. I chose Gilly MacMillan's book "What She Knew" from a bookshelf of thrillers at Barnes & Noble just before I left for the airport. I wanted to be sure I had a book that was sufficiently absorbing to entertain me on my long trip home. I was not disappointed! 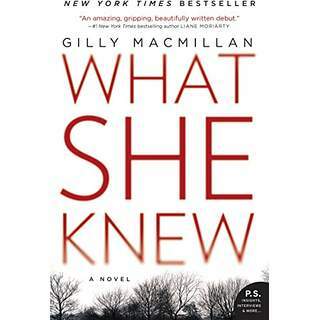 "What She Knew" is Ms. MacMillan's debut novel. She has another book that just came out entitled "The Perfect Girl" which promises to be an equally absorbing read. I can't say that I was attracted by the title of this book which is awfully boring and I'm not sure indicative of anything particularly essential to the novel itself, except insofar as any thriller is about what people know and do not know about one another and about the facts in the case at hand. I was struck by the fact that the story centered around a divorced couple and, due to my own divorce, I found myself immediately intrigued. The book is a nice long, extensive read which is unusual, as far as I know, for a first book. From what I've heard, most debut novels are around 300 pages. This book is almost 500 pages and thus you get to have a satisfying experience living within the pages of the book. Then just to drag things out a bit, the publisher added some juicy extras at the end of the book. For example, there is a bibliography of resources that Ms. MacMillan used which provide additional information about missing children. There is a list of 11 questions which you can use to generate discussions for a book group, an author's Q & A, and a list of ten additional thrillers that Ms. MacMillan herself recommends for further reading. Lastly, the end provides a quick bio of Gilly MacMillan and also includes a few of the opening chapters of her next book "The Perfect Girl" so definitely, I would say, when you pay your $15.99 for this book in soft cover, you really get yourself a bargain. Ok, so on to the story. Rachel Jenner, a recent divorcee, is taking her eight year old son, Ben, on a walk in the country with their dog Skittles. At one point, Ben asks his Mom if he can run ahead and go on the swings in the playground. After some hesitation, concerned about his safety, Rachel agrees thinking he will be all right. However, when she finally catches up to where he is supposed to be, there is absolutely no sign of him. In the days that follow, a distraught Rachel finds herself the center of a media frenzy as public speculation rises implicating her in her son's disappearance. Meanwhile, the police throw out a wide net which brings in a large pool of suspects. As each one gets checked off, Rachel comes to understand that nothing is as it seems, including her own life history. The clock is ticking and as each hour goes by the likelihood of finding Ben alive becomes less and less possible. Will the chief investigator have a complete breakdown before he can solve the puzzle? Will Rachel drown in a sea of false accusations? What drew me into this book so completely is the main character Rachel. She has been so wounded by the loss of her son and so unhinged by the vicious and brutal attacks she's endured from social media and the press that her story, the possibility of her own psychological survival and the physical survival of her son become particularly suspenseful and engaging. I have experienced the same public misunderstanding during my own divorce and so I related very much to what Rachel went through. I also think it is extremely difficult to be a single mother and the double standard that exists regarding single mothers, the quick rush to judgment, all of that is so unfair. Thus, my heart went out to Rachel when I read about the condemnation that she experienced. When you know how much Rachel passionately loves her son as you read her narrative, and you contrast that to the way she is pilloried on social media and in the news, it's just so heartbreaking. The whole story is told alternately from the perspective of Rachel Jenner, the Mom and the Chief Investigator Jim Clemo with the help of his therapist. Jim Clemo tells the story retrospectively in his sessions with his therapist Dr. Francesca Manelli. He has been experiencing intense anxiety and insomnia subsequent to the resolution of the case to the point where he is ordered into counseling to deal with it or he will lose his job. Underlying the story is the whole question of trust. Who can you trust and who can you not trust. When are people lying to you to exploit or take advantage of you and when are they telling the truth? It does bother me somewhat that the author conveys the message that Jim Clemo has to take a leap of faith and trust his therapist in order to heal when the message of the entire novel is that you can't trust even your closest, most intimate friends and relatives. What makes a therapist so special that, simply by virtue of the profession, the author considers one worthy of such unalloyed trust? There are ample examples in the news of therapists who betray the trust of their clients. "What I know now is that even after the divorce I should simply have been grateful for what I had. I should have celebrated my life as it was, imperfections, sadness, and all, and not forensically examined its faults. Those faults were largely in the eyes of a critical and sharp-edged society anyhow, and I had learned to recognize them by osmosis, by following the herd. I had not yet learned to use my intelligence, or to trust in my instincts. I see more clearly now, and I shall never make that mistake again." We should do the same. For anyone who has had to make that harrowing journey from self doubt to self confidence and has paid the price, this book is a beautifully written reminder of that journey.